Each of Sergey Sakirkin's blacksmith-art creations is unique. He builds each piece of metal art from sketches he draws exclusively for each customer. Heritage Forge, Inc. is one of the most distinguished and unique metal-art shops in the Mountain West. We specialize in custom-designed and hand-forged metal art. 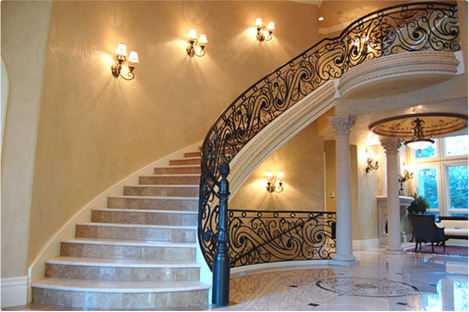 We also offer distinctive, ready-made ornamental-metal articles for your home.